Canada’s Prime Minister says the new U.S.-Mexico-Canada Agreement (USMCA) allows Canada to move forward with trade talks with China. Despite a provision in the text of the agreement that allows the U.S. to opt-out of the deal if Canada or Mexico engages with China, Justin Trudeau claims the provisions were “watered down” in the final version of the agreement. He told the Globe and Mail this week that he is ready to reopen talks with China. The USMCA replaces the North American Free Trade Agreement and a clause in the agreement is interpreted to forbid deals with “non-market” countries, such as China. 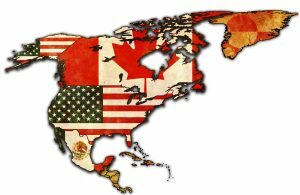 Specifically, the provision specifies that if one of the current NAFTA partners enters a free trade deal with a “non-market” country such as China, the others can quit in six months and form their own bilateral trade pact.